not only did we get a quick glimpse into the dynamic between roar and liv’s relationship since it was teased a bit in Under the Never Sky, we get to see the dynamic between the family (all of them) and with Brooke a bit which is nice. i think that there’s something to be said about having a deeper dive into what makes relationships into what they are. when i’m reading novellas like this, i feel like there’s so much more that we could get into, but that’s not the purpose right? these are more like ‘tie me overs’ until the next installment comes out and it serves a purpose. i’m sure that once i get into #2, Through the Ever Night i’ll feel better about things with all the relationships, but for now i feel like it was a bit light. regardless, at least we know what the relationship between Roar and Liv really is, how that related to Perry/Vale/Brooke and what will happen next. 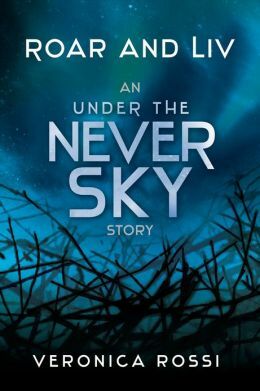 This entry was posted in Dystopian, Reviews, Young Adult and tagged Dystp[oam, Roar and Live, under the never sky, veronica rossi by iscm13. Bookmark the permalink.